Developed by TrizecHahn Corporation; the City of Los Angeles; The Community Redevelopment Agency of the City of Los Angeles. 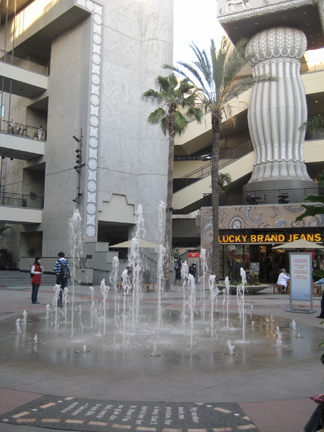 Architects: Ehrenkrantz, Eckstut & Kuhn - design architect; Altoon & Porter - Executive Architect; Rockwell Associates - Design Architect, Kodak Theater; Wimberly, Allison, Tong & Goo - Hotel Architect. General Contractors: McCarthy Building Companies - Retail/Entertainment; Matt Construction Corporation - Hotel. Artists: Michael Davis - Chandelier Fall; Erika Rothenberg - The Road to Hollywood; Pat Ward Williams - Starbursts. 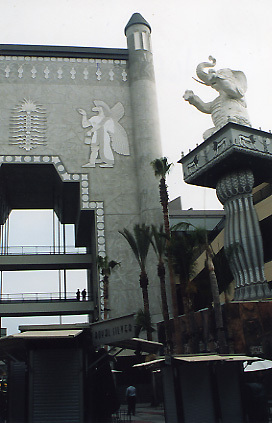 The mall opened November 2001. 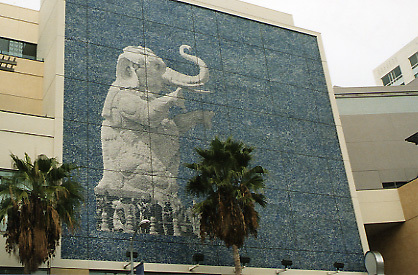 In 2008 several works were installed in and around the Hollywood and Highland mall as part of a temporary "Women in the City" project, including Cindy Sherman's 'Untitled Film Stills', and Jenny Holzer's 'Truisms.' Elsewhere in the city there were temporary installations by Louise Lawler, Barbara Kruger, and Emi Fontana. At around the same time, Gap, Inc. and the Whitney Biennial collaborated on a marketing campaign.